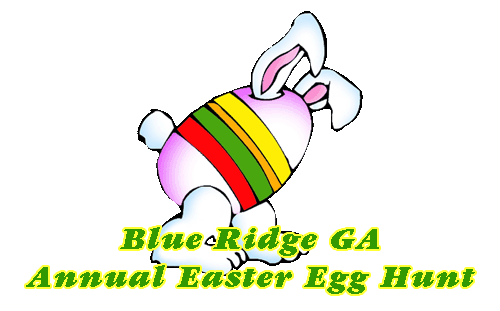 The 24th Annual Blue Ridge Community Easter Egg Hunt will be held Saturday, April 20th, on the churchyard of St. Luke's Episcopal Church in Blue Ridge. The hunt is free and begins at 1 p.m. with the stroke of the church bell. A special area will be provided for very young children. Following the hunt, prizes will be awarded to children finding prize eggs and refreshments served. The Blue Ridge Kiwanis Club and Walmart are partners in the annual event. St. Luke's Church is located at 7 Ewing Street, across from the Blue Ridge Kiwanis Club Fairgrounds.